What Is The Importance Of SEO In Today’s Digital Web EcoSystem? Hello, readers, we hope you are enjoying our articles. It has been quite a while we are busy churning out a series of articles spanning a range of topics, SEO, SMO, PPC, Internet Marketing etc. All of these articles were written with a single purpose; to help the beginner internet marketing and digital brand enthusiasts understand the digital ecosystem and help to make their way through the success. Today, we will cover a very simple but very important topic – what is the importance of SEO in digital marketing. Although the topic idea sounds very simple and I can guess you might already have the answer, it is still vital for us to keep posted about the core benefits of SEO, and how it has evolved yet remained so relevant even in today’s evolving digital marketing efforts. SEO is not simply a cost to your online marketing efforts. It is actually a long-term investment to secure the visibility of your brand online. Since the time it was invented till date the entire concept and core values and its fundamental outlines have been evolved and it is even maturing today. Without the practical SEO, a thoughtful competition would have been no a reality. The search system would have been an anarchist, and the digital web ecosystem would have been very biased. Thanks that we have SEO – which has helped keep the fight alive so that valued brands and helpful entities who matter compete with each other in a holistic environment – without having to have any prejudice. 1 Why is SEO very important? Did you know your long time, full-time, most dedicated and perhaps the most productive employee is your website? It gets you improved return, never falls sick and never reports late at work. It works for you the way you want – from generating leads, developing improved brand awareness on the Web, getting you visitors for your business etc, are done by your organic website. – a website which is search engine optimized. Because your website is optimized properly and that it has gained an improved variety of audience naturally and pulled up your business online. So, SEO is very important to help your brand get proper online visibility. Today’s consumers are smarter than ever. They often do businesses with brands that cater to their customized and budgetary requirements. So, if you think your audiences are most likely to do businesses with you because you are cool, you are mistaken. This is where you require the helping of advanced SEO. It helps your brand be where your audiences are. It pinpoints the interaction, behavior, thought patterns and buying habit of your audiences and then thoughtfully offers you with analytics, big data so that you can examine their core values, relate to them positively and then inspires them to buy from you. 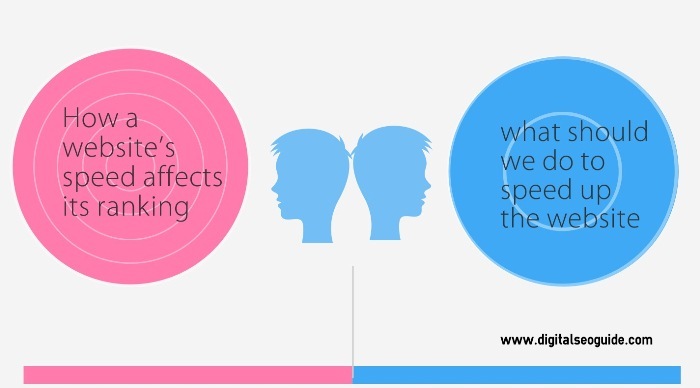 So, SEO helps you in the customer buying cycle and then understanding the overall thought pattern of an audience. So, SEO is very important to take your brand to a new level and help you be where your audiences are. SEO is not the sole factor to improve your digital marketing eco-system, but it helps improve your marketing analytics. With other forms of social advertising, SMO, digital ads – it develops an improved variety of great marketing mix – thereby creating a great social eco-system in which every audience is equally valued and respected. The online visibility improves as you work on the key decider. 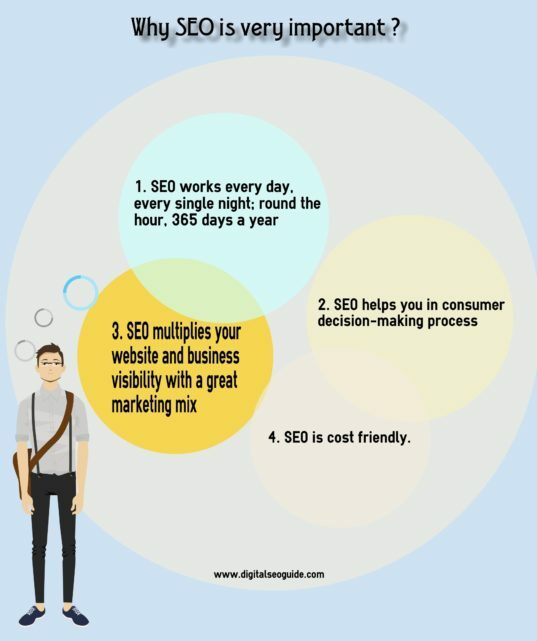 SEO helps you get found, improves your website rank, and along with other forms of the digital marketing, it multiplies your website’s visibility so you can utilize, test and try different types of branding while you can even work with an improved variety of system to channelize your digital portfolio. So, SEO is a very vital aspect of your digital marketing. The cost for organizing a full-fledged SEO campaign is comparatively nicer than another type of digital marketing. It is still considered to be one of the most affordable yet greatest forms of digital marketing factor that organically improve your digital branding. These are some of the vital reasons why SEO still rules and it has been helping companies improve their digital eco-system. If you are a new brand and if you need to understand how to organically pull up your traffic. A good website which is properly SEO optimized often improves the website result. Before you jump start your campaign to improve the traffic and digital impression of your website, you should actually invest as much money as you want on SEO. SEO yields maximum value for your website, and it has always been a decisive factor to improve your website performance and traffic. If you want to improve your website traffic and gain on ranking without having to invest much, it is very important that you start working on SEO. Now, when it comes to using SEO to improve your website, there are two distinguished types of work that falls into its category. While hat or organic SEO and black hat or fraud SEO. Sometimes, with the aim to improve the ranking of a website, webmasters would use illegal measures to dramatically improve your website rank. These measures are not timely and often result in a reduced result, often banning your website. Whereas; natural or white hat SEO means using a proper variety of organic SEO rules to properly improve the rank of a website. Such measures are helpful and these tactics are often utilized using a set of practices – such as SMO, PPC and etc. If you want us to tell you more about how to implement SEO to properly improve the website rank of your website, please read our earlier articles. If you have any ideas, please tell us. Great post here. SEO is indeed very important for any business or blog. We are here to be shown to our visitors and find loyal traffic for us. SEO plays important role and n matter how good you write, discovery will always be important.